Watch as we create a soils-focused regenerative farming model driven by social and economic goals that are so powerful our model is widely embraced across the Northern Plains. The Sandy Arrow Ranch will not farm conventionally. Our goal is to prove that there is a better agricultural model for the planet. 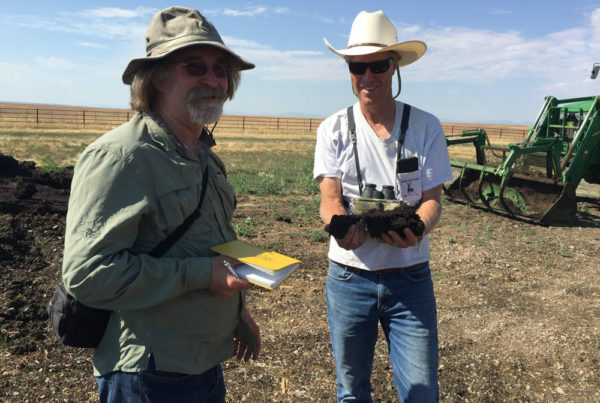 The pursuit of this goal led us to renowned soil scientist, Elaine Ingham, PhD. 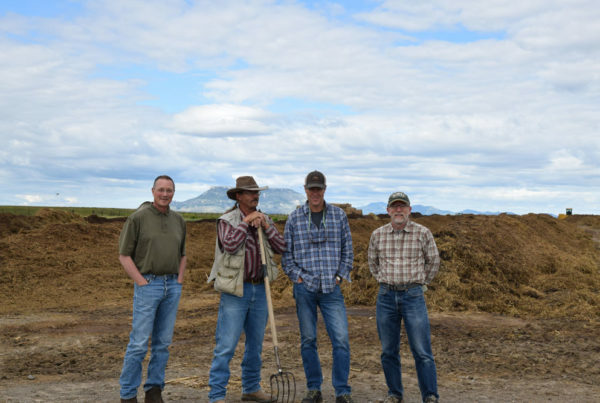 Elaine’s biologically focused “soils first” work is the sustainable farming model under development today on the Sandy Arrow Ranch. Our model is based on the principles of nature and the ranch’s 2,500 acres of agriculture land and 20,000 acres of rangeland have become the petri dish to prove our thesis. 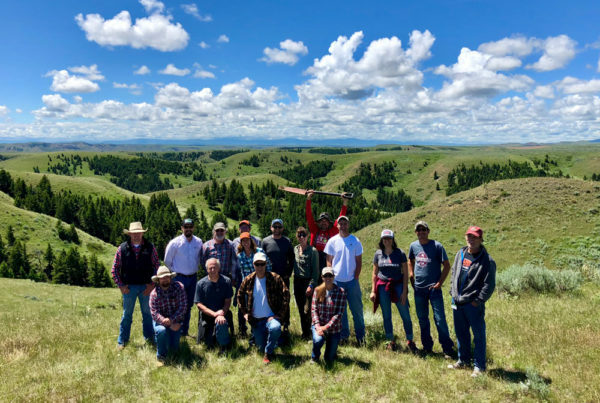 Over the next several years, the Sandy Arrow Ranch will become chemical free while utilizing agriculture practices that are climate and wildlife friendly, retain water, and reduce erosion. It is our belief that crops grown in our biologically rich, enhanced soil will produce substantial nutritional upticks to both conventionally grown and organic products. We will be monitoring this project in a scientifically robust, data driven manner, and will openly share our results. This website explains our various sustainability agendas, lays out our execution plan, and provides updates on our progress. Thank you for your interest. This is an important topic for the world. Eric Dillon purchased the Sandy Arrow Ranch in late 2013. Having no prior experience with agriculture, Eric’s introduction to conventional farming was shocking. He learned that his farm, and the majority of Northern Plains farming, had little connection with nature. The key inputs to growing crops are synthetic chemicals that are created and prescribed by companies like Monsanto. Across the plains, repeated chemical applications have compromised soil and poisoned ground water. Products grown in chemically infused soil are devoid of nutrition and contain trace harmful substances like glyphosate (Roundup). The practice of tilling and “fallowing” land has compromised the soil biome (microbial community) and these practices are responsible for releasing billions of tons of carbon into the atmosphere across the planet. How farms in America arrived at this chemical crazed state is a story of conspiracy and the naïve pursuit of quantity at any cost. We discuss this “story” throughout this web site (especially in the “full plan” tab) but the punch line is that conventional farming is an environmental and nutritional disaster. 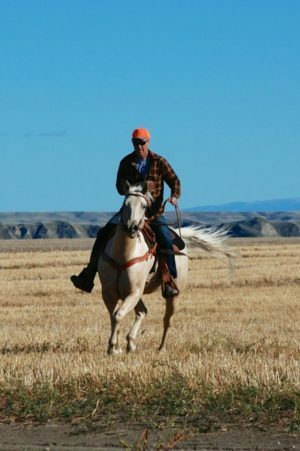 The Sandy Arrow Ranch (“SA Ranch”) is a 22,500 acre cattle ranch/dry land farm located in central Montana. The ranch borders the Missouri Breaks National monument and Lewis & Clark came through this country in 1805. In their journals, they commented that this area held more wildlife than any other part of their expedition. What they witnessed was undisturbed, robust, bio-diverse native prairie that supported millions of buffalo and other ungulates. The prairie was a perfectly balanced ecosystem that nature spent 100’s of millions of years to create.